It’s a win – win situation! We believe your company (or your employer) will benefit – as our members need to hear what you have to offer! Your support enables the Chapter to provide scholarships to upcoming professionals and maintain our website. 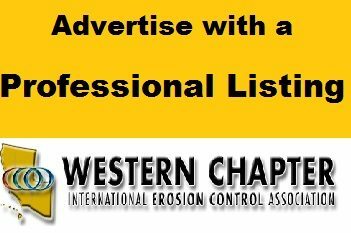 IECA Member*: $200.00/yr. for a full Color Banner Ad with Logo. Renewals are half-price so if you get on board this year next year your ad is even cheaper. *Non-members of IECA $400.00/yr. 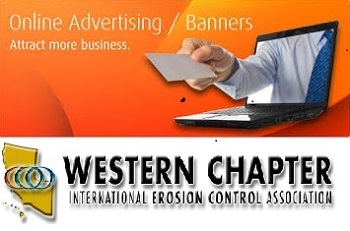 Banner Ad is inserted in the Western Chapter News & placed in the Products & Services Directory on the website. Some customers go with both, that way you can get your logo out there and include a good sales pitch or company description. DEADLINE is MARCH of each year but you can get on board anytime throughout the year as these are very low-cost ads. The Banner Ad is also on rotation on the Chapter’s website page headers. Newsletter: 300 dpi high resolution 330 x 155 pixels (2.73 in wide by 1.25 in high – format can be JPG, PSD, EPS, TIF).